I'm up to 23 finished Union Jack blocks. I need only 5 more and I'll get started on them tonight. Then I can start to add the sashing. 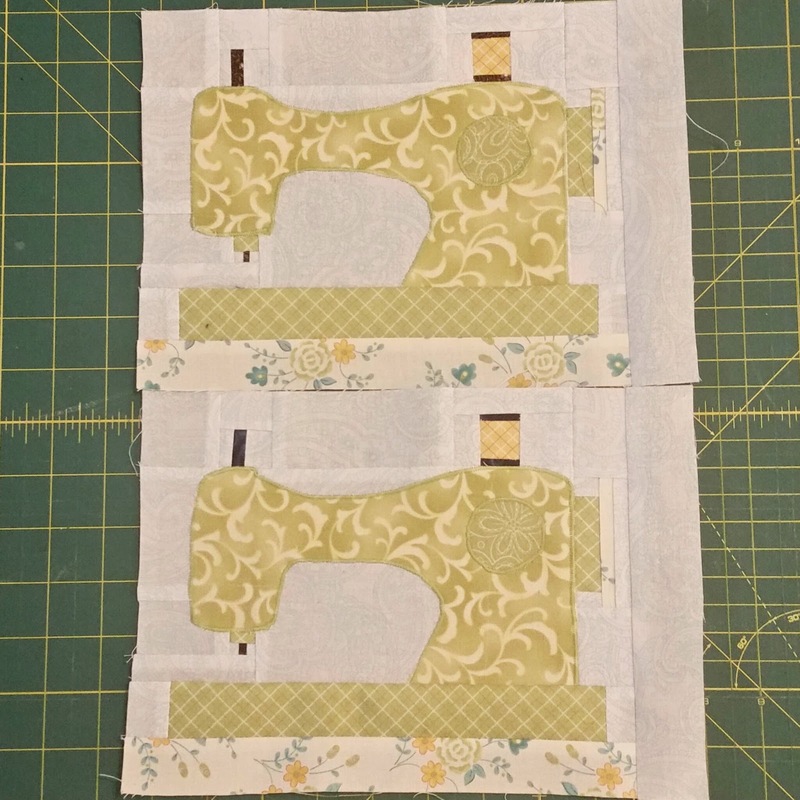 Here is a rundown of the sewing machine blocks for the Quilter's Garden Row BOM. It's not too late to join in as we're just finishing up the first month. One each of the blue and green are going in the swap and I'm keeping the others. Can't wait for the next row! What are y'all working on? 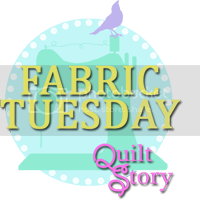 Head over to Quilt Story for Fabric Tuesday and take a look at the links for inspiration. Hello Cathy! 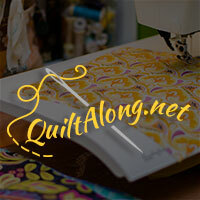 I liked your comment on my blog post about your machine being featured. My hope is that you will be pleasantly surprised with the new block construction. We shall see. Congrats on the feature!! 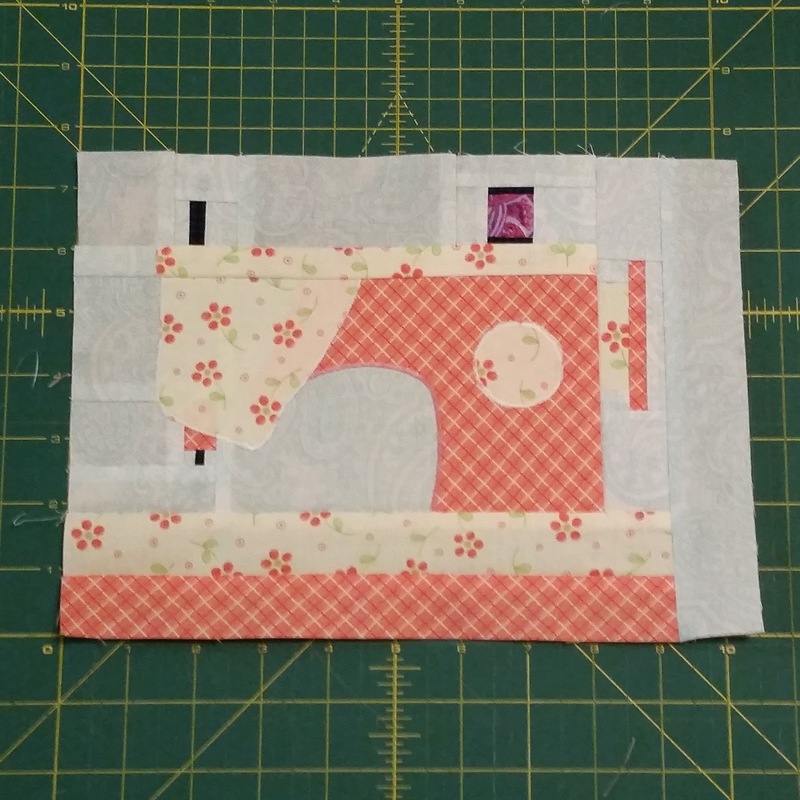 It's such a cute block!!! 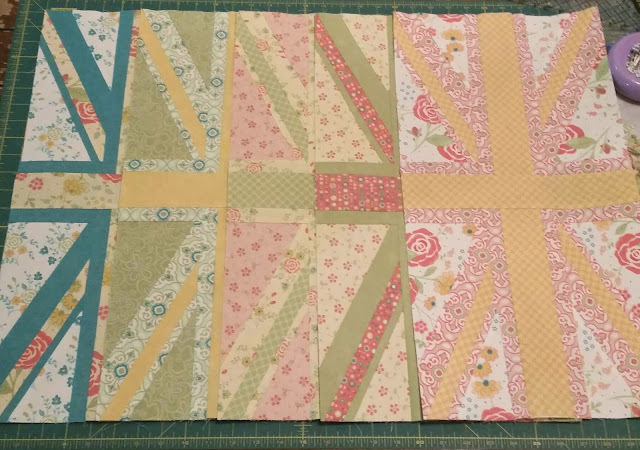 I am in love with the Union Jack blocks! 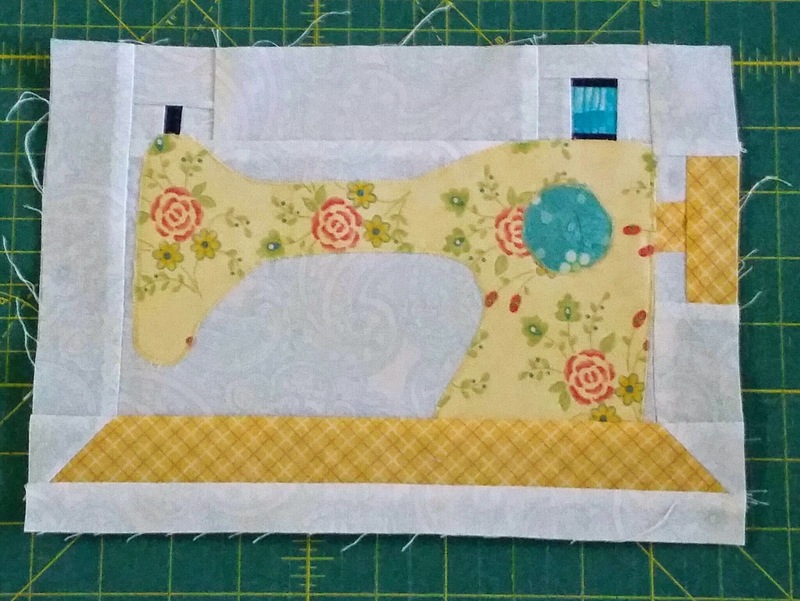 The sewing machine blocks are great too! 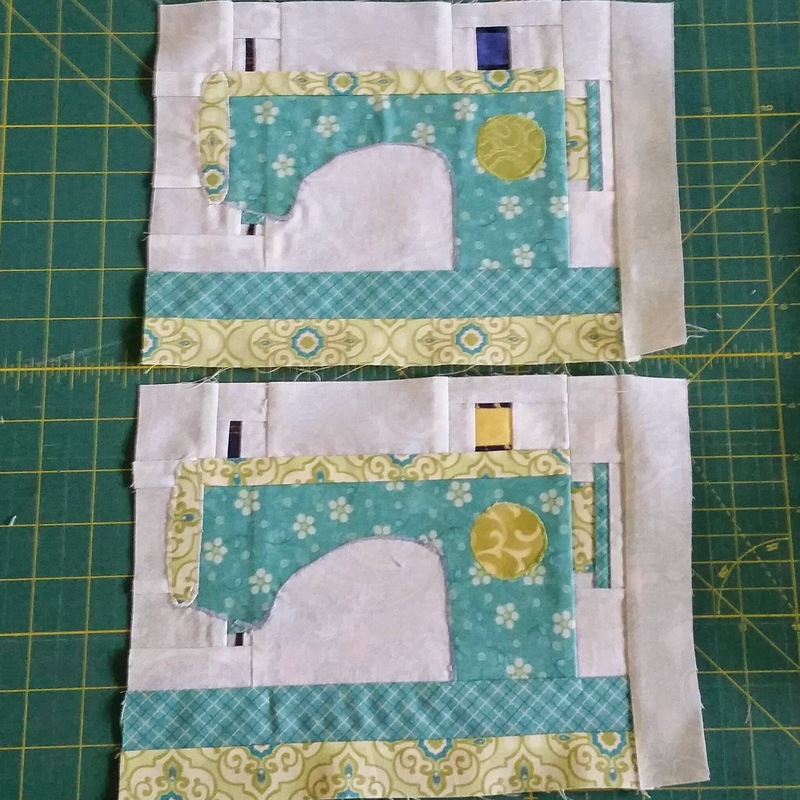 Your sewing machine blocks are adorable - so pretty!